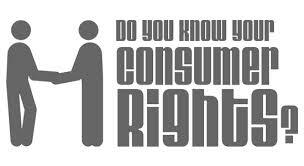 You are at:Home»Courses»Online Program on Laws of Consumer Protections offered by Rostrum. Learn to go with Flexibility and Convenience. Learn at World’s Most Advanced Online LMS. Nature & Evolution of Consumer Laws. Important Concept of Consumer Laws. Conceptual Overview of Laws Relating to Consumer. Conceptual Overview of Laws Relating to Unfair Trade Practice. Conceptual Overview of Laws Relating to Good & Commodities. Conceptual Overview of Laws Relating to Services. How to become Smart Consumer. Previous ArticleRTI applications can be now filed Online!